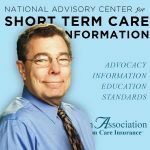 AGENTS & BROKERS — Watch this video to learn about the Short-Term Care policy offered by Standard Life and Accident Insurance Company. Recorded April 24, 2018. Recovery Care II is approved in the states shown below. #1 – Check the State Listing Below to see if the policy is available in your state. #2 – Call 818-597-3205 or E-Mail us now to get appointed. Click to Email us: Tell us you want to start selling Standard Life’s Recovery Care II policy. In addition, special “Association” version is available in Idaho, Maryland, Pennsylvania and Rhode Island. Request details. Updated April 24, 2018. Subject to change. Please note that policy benefits and features vary by state. To read a sample brochure for the Recovery Care II policy click the link below. This information is intended as an overview of the product. For agents only. To learn more about this product you should read and request the policy specific information and outline of coverage. Policy provisions can vary by state. Our focus is advocating for the benefits offered by short-term care insurance (recovery care) products such as the Recovery Care II policy offered by Standard Life and Accident as well as other insurers. IF YOU ARE AN AGENT interested in successfully marketing and selling short-term care insurance products, we’d welcome working with you. We appoint agents with all leading STC insurers and have partnered with the leading national organization to ensure the highest levels of support. Call our office today at 818-597-3205 and we’ll get you started. IF YOU ARE AN AGENCY LOOKING TO SEE YOUR AGENTS SELL MORE SHORT-TERM CARE INSURANCE we would welcome sharing how we help small, medium and larger agencies effectively build their agency success and revenue. Call me to discuss.